Halloween is one of the most perfect holidays for the crafty and creative person. From coming up with clever costumes to carving pumpkins to making creepy-cute home decor, Halloween is chock full of creative opportunities. 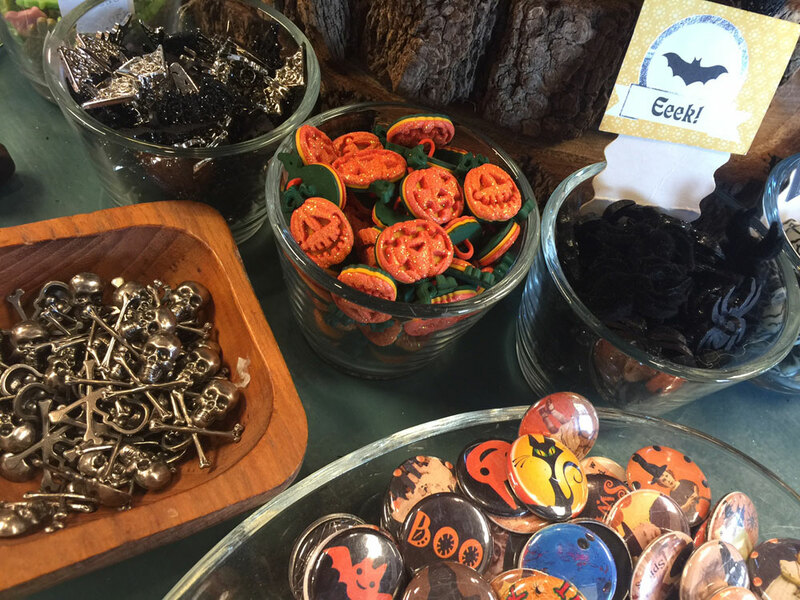 Holly, myself, and the rest of the Yucandu staff especially look forward to Halloween because we love coming up with fun projects and stocking up on the perfect Artsy Additions for the season. To celebrate our favorite holiday, we’ve come up with a few spooky ways for you and your family to get into the Halloween spirit. We still have spots left for our Halloween workshops that give kids in grades 1st-5th the chance to make their very own Haunted Villages! We designed these wooden homes and the kids can have a scary good time turning them into a “haunted house”. How cute will that look in your home every fall for the years to come? Register the kids for a fun evening where they’ll get busy painting, gluing, and otherwise bewitching these adorably spooky homes and feasting on popcorn and cider. Meanwhile, you can enjoy a night off! We’ll even handle the clean-up! 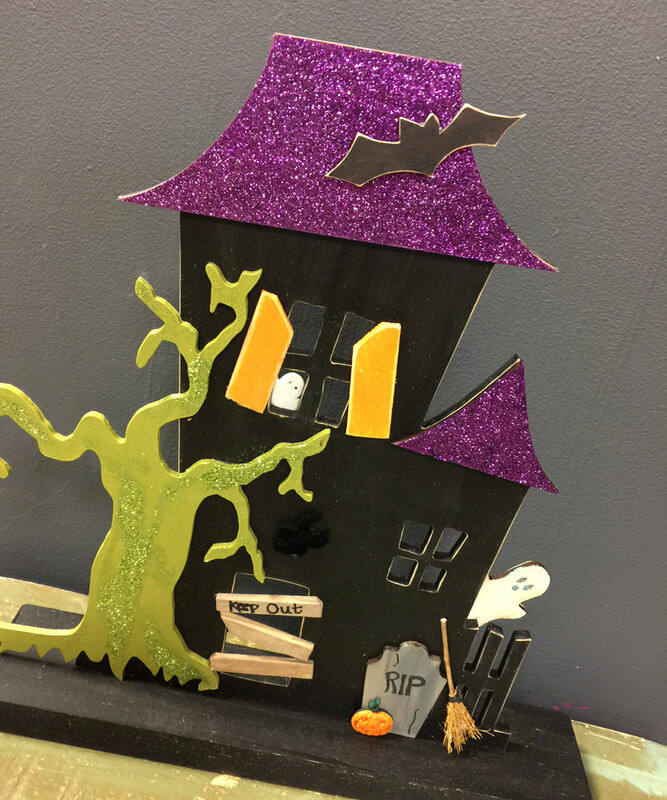 Register for the Kids’ Halloween Workshop! Want to make your own Halloween-themed project? 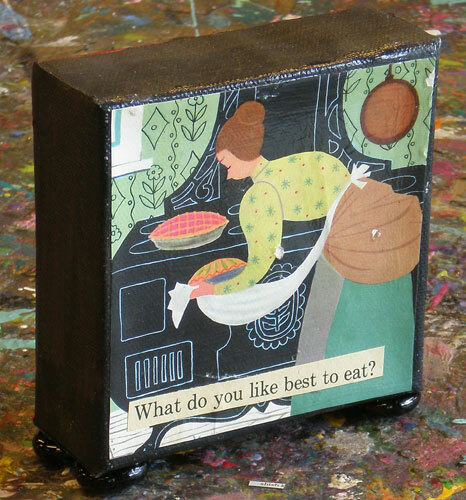 Open Studio fees are half-price on Thursdays, Fridays, and Saturdays from 6-8 pm. We’re even offering 20% off any project through Oct. 30 with this coupon! We have so many awesome themed Artsy Additions available (think mini pumpkins, tombstones, skulls, and so much more!) for you to make that eerily perfect masterpiece. Want to make something but have no idea where to start? The great thing about Open Studio is that the Yucandu staff is here to help! We can give you the inspiration, tips and tricks you need to bring your project to life. No appointment necessary for Open Studio! Come out as a family for Old Webster Trick-or-Treating on Saturday, Oct. 29 from 3-5 pm! Over 30 businesses in Old Webster (including Yucandu Art Studio) will be passing out candy and treats to both kids and adults! This is a great opportunity for families to explore local Old Webster businesses and have a ball gathering as much candy as possible. It’ll be a scream! Getting into the Halloween spirit is easy with the right inspiration! Between Yucandu workshops and Old Webster festivities, there are plenty of spooky ways for you and your family to enjoy the autumn season. Happy Halloween! previous post: It’s St. Louis Art Fair Season!